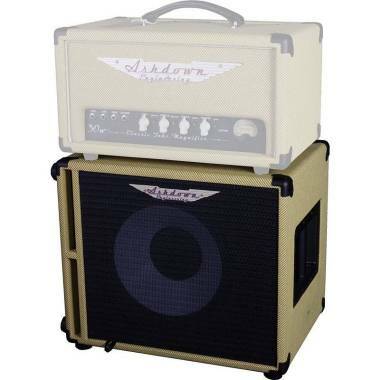 The 20th Anniversary Ltd Edition 112T-250-Tweed Cab is specially designed to not only compliment the classic looks of the matching CTM-30 amp head, but also praise the valve driven tone of Ashdown’s CTM range - delivering no compromises on tone or performance. Handmade in the UK from the finest Birch Ply, the 112-T-250-Tweed bass cabinet features custom Blue Line drivers and dual speakon/jack connectors. The cabinet also incorporates protective metal corners, high quality recessed steel side handles and a black cloth grille.